Our designs are customized to your style with our amazing staff of CREATIVE designers. Designing a theme is a process achieving perfect balance is what makes us PASSIONATE about it. Affinity Celebrations is a full service event decor and floral design company based in Orange county , California. 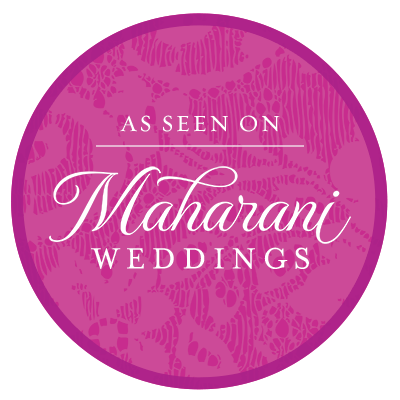 We custom design, develop and implement event decor for South Asian Weddings, Christian Wedding Ceremonies, Destination Weddings, Wedding Receptions, Corporate Events and Custom themed Parties and Pageant décor . We at Affinity Celebrations understand that planning an event takes great effort , time and of course lot of patience ! So we are here to offer custom yet creative and personalized luxury decor service. From modern to tradition, fusion to classic, romantic to dramatic we go above and beyond transforming Event Design into a Work of Art. Corporate & Non Profit Events and much more! We work with clients throughout Orange county , California. We maintain a warehouse that has an extensive inventory of props, backdrops, curtains, fixtures and more to be prepared for any event at anytime. Table Linens, Decorations and much more! A perfect wedding is any girls dream. Lux made that dream come true. All her ideas and decor were exactly how I pictured in my mind. She never lets you compromise on anything and goes the extra mile to make it happen. She takes the pressure off you and let me enjoy my own wedding. Thank you once again Lux for making my wedding perfect to the last detail. All our family events- we know whom to approach!! Lux did a great job at my wedding. I hired her for 2 days and both days she gave exceptional service. Leading up to my big day coordinating with her and picking my decor was a brezze. She has an eye for color and decor but she also keeps your budget in mind.on my wedding day showed up to find everything perfectly decorated. She's great on pricing, professionalism, and was fun to work with! Lux made my wedding gorgeous and unforgettable! She was extremely easy to work with and made everything work for us! I have zero complaints! Talent, Vision, Creative and dedicated. That is how I describe lux. It is evident from her work that and I am very glad that I choose lux for the BIG day in my life. I would definitely recommend her to anyone. My wife and I were very much satisfied. We loved the way our house was decorated by Lakshmi for our engagement party. I am very happy with Lux and her flexibility. All our guests appreciated the decorations. It was a great pleasure working with Affinity Celebrations for my brother's wedding reception. Lux was extremely helpful and guided us right from choosing color themes to fabric and textures. She is very clear and details in what she delivers. Dear Lux, Thank you for all the beautiful work on the Gazebo and the Stage for my daughter's wedding. They contributed beautifully and made her wedding stand out! I feel that I made the right decision to pick you as my designer! We are proud to say that we are Wedding Wire Rated. Please visit our Wedding Wire Page and Facebook Business Pages. My work is my passion and my creativity is my canvas. I am extremely proud of my commitment to total customer satisfaction. I would love to talk with you about your next event that you are planning. I will go well beyond your expectations to have you and your guests talking about your beautiful event for years to come. Your Dream Event Awaits You. Please include your information and send us a message. We will get right back to you!